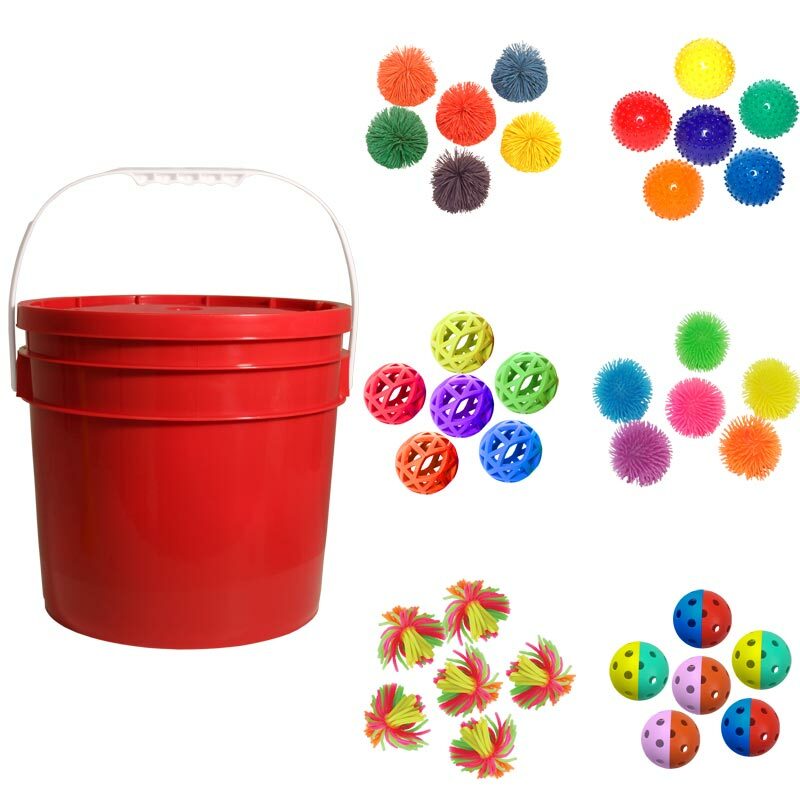 The First Play ® Sensory Ball Essential Tub is a robust heavy duty tub containing 36 balls across a selection of six different types of sensory balls. 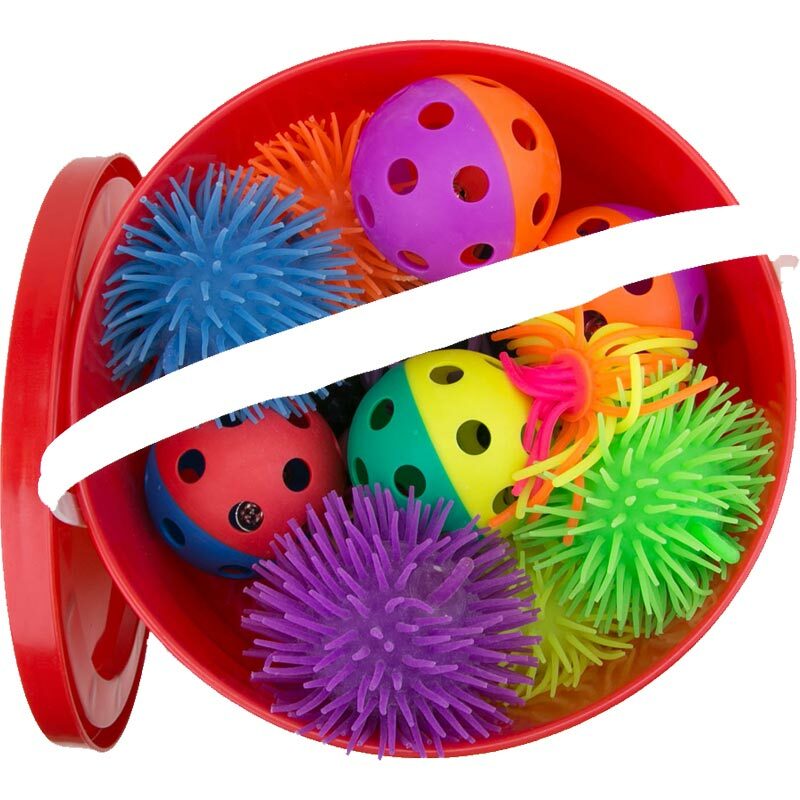 Contain 36 balls across a selection of six different types of sensory balls. 6 x 10cm bump balls. 6 x 9cm zoft bell balls. 6 x 7cm pom pom balls. 6 x 7cm flexi balls.